Bend It Like Beckham, Bride & Prejudice, Five Days, Moses Jones. 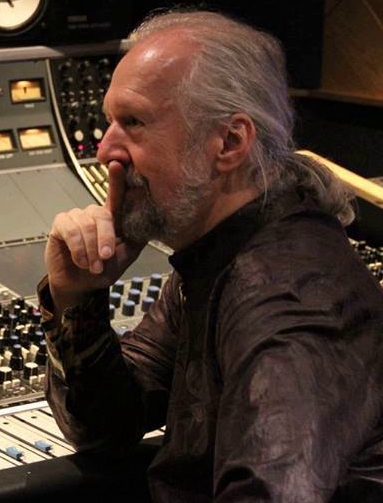 Craig is a cutting edge world fusion expert composer/musician/performer, – a versatile American multi-instrumentalist musician, award winning composer, arranger, gold & platinum record producer. He has just completed scoring Gurinder Chadha’s 6-part tv series Beecham House for ITV which is set in India in 1795 before the British rule. His Indo-fusion expertise and sitar playing can be heard on Charlie and the Chocolate Factory, Harry Potter and The Goblet of Fire, The Guru and the Warner Brothers film A Little Princess where he was also a music consultant. He also provided sound design and keyboards for John Altman’s work on, Golden Eye; and keyboard sounds and musical textures for the BAFTA award winning Hear My Song and Hollywood Films’ Funny Bones. Following the success of Bend It Like Beckham he has continued to work with writer/director Gurinder Chadha on the Bollywood crossover film Bride & Prejudice for Miramax/Pathe, her segment in Quais de Seine for the French movie Paris, Je T’aime, What’s Cooking?, Bhaji on the Beach and It’s A Wonderful Afterlife. Other feature scores include The Mistress of Spices, directed by Paul Berges. His music is not restricted to Indian/African influences and other film credits include Rich Deceiver for the BBC; Blue Funnel for Paul Berges; Out of the Blue for Zarina Bhimji; and Boiling Point for Jason Lehel. TV drama includes Red Productions’ Jane Hall for producer Matthew Bird, and 4 series of Peak Practice for ITV. Based in the UK for many years, Craig has arranged and/or produced many of the UK’s top recording artists, including Massive Attack, Def Leppard, Sir Cliff Richard, Bond, and has been a featured session musician for Joe Cocker, Mike Oldfield and the Madonna film, “The Next Best Thing”. Because of Craig’s prominence in the recording world he was invited to arrange tracks for Massive Attack’s ‘100th Window’ album and orchestrated their score for Luc Besson’s feature My Name Is Danny. He is a co-writer, musician and the producer of the cult Afro-fusion band Ganda Boys. The three Ganda Boys have started the Ganda Foundation, their charitable organisation for raising money for social programmes to combat poverty in the Third World – starting with raising funds and providing equipment for Ugandan hospitals and schools in need.